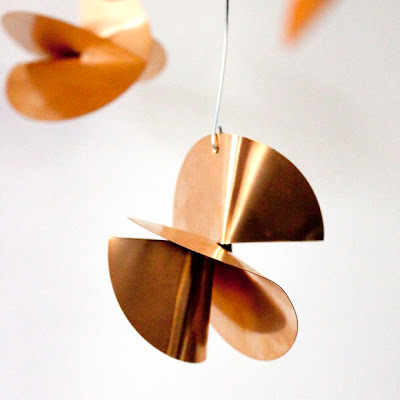 I would love to make this awesome copper mobile, with a little help of the clear tutorial by the Craftysisters. 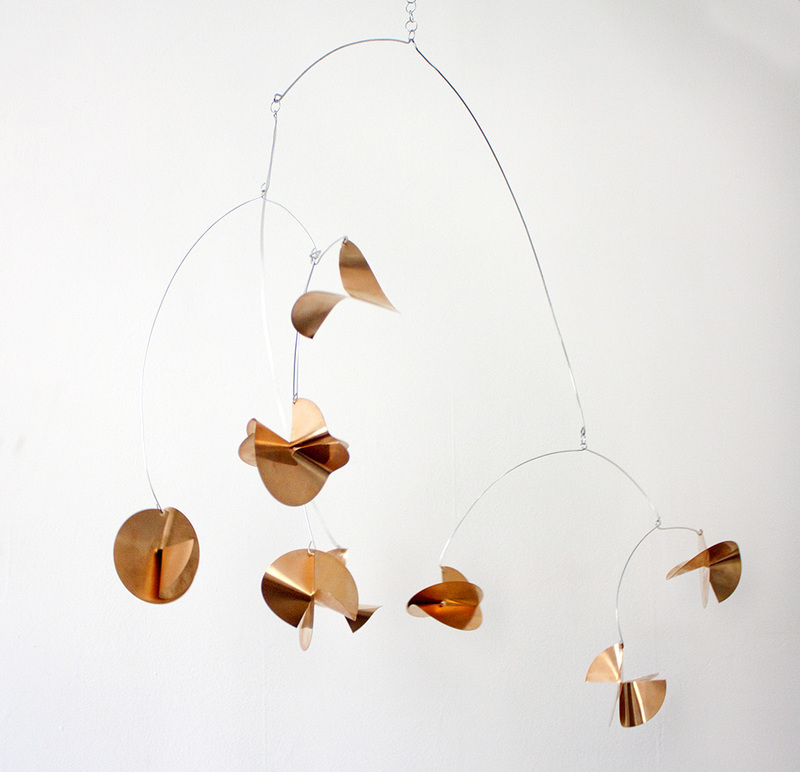 I read on their blog that it is inspired by the work of Alexander Calder and I recently visited an exhibition of his work in The Hague. Each shape is made from two copper disks cut to fit together. 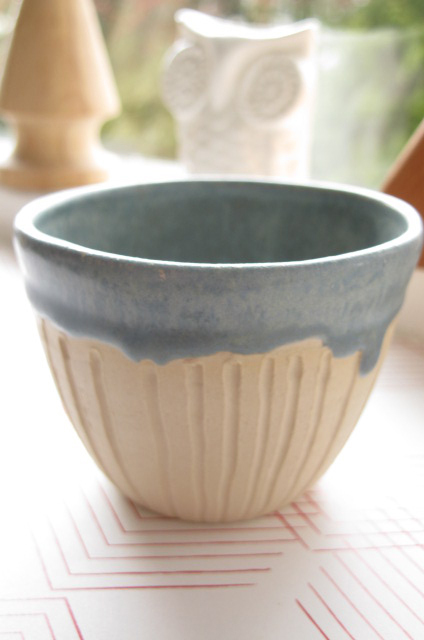 Just came back from ceramics class with my very first cup from the cast mould I made some time ago during a workshop. Have to admit: I cheated a little...didn't make the model for the mould myself, but I asked an experienced and talented class-mate to throw me one (thanks again, Annemiek!). The rest of the cast-work and all the details (lines/glaze etc) are mine though! 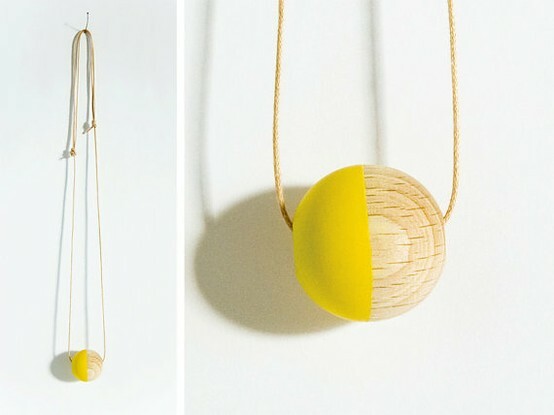 It is so funny to see lots of designers use 'dipping' as a new technique. Must be in the air somehow. 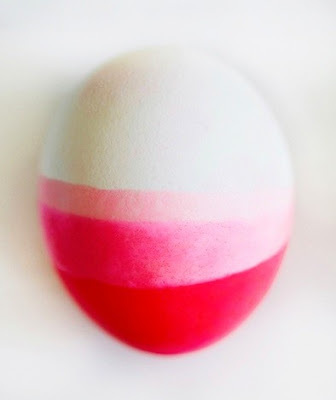 From above: DIY- neon dip dye egg, find the tutorial at: Oh Joy. 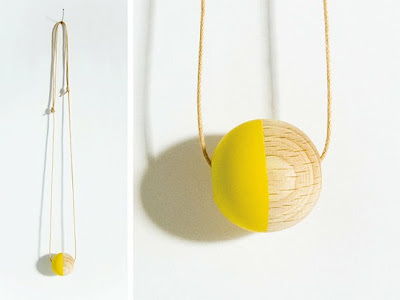 Dipped pendant hanger from Heuteschmidt on Etsy, so simple! There are even designers that 'dip' one material in the other. 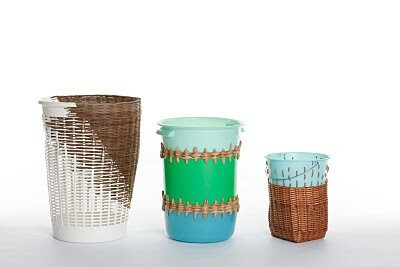 As you can see at the awesome baskets above by Cordula Kehrer from Germany. My poor house: It has been ages that I gave it some attention! I have no spare time for styling, painting, sewing or to go treasure hunting in thrift stores. Well, we gave our house some love last week: my husband finally finished tiling the bathroom (after 10 years, no kidding! 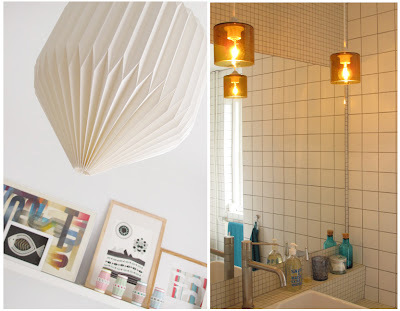 ), I hung new roller blinds in the bedroom and I went on several nightly treasure hunts on the internet. Bought these awesome HAY-cushions at BijzonderMOOI* last week. Fell in love with them from the first minute I saw them last winter. The Kvadrat fabric is wonderful, the shape is great and I love the fabric buttons! 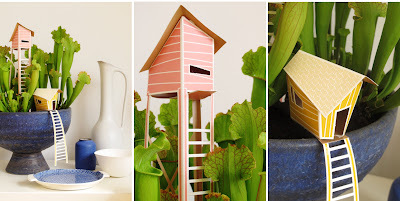 If you've been here before you might know the cottage houses by Ontwerpduo, I wrote about them in this post last year. 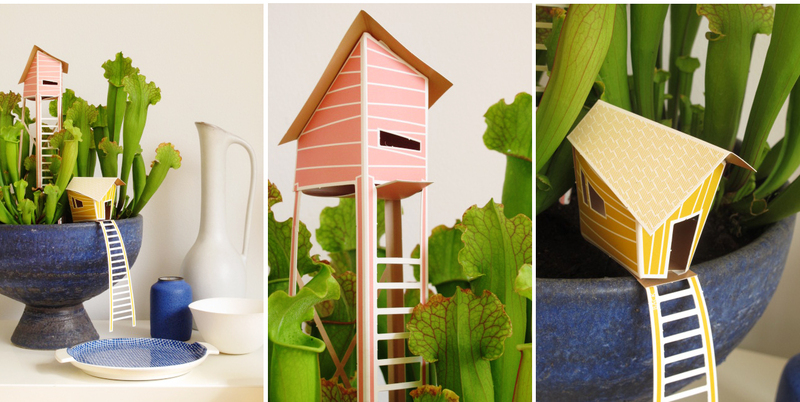 I was actually looking for the right pot and the right plant to go with this little paper-village. I found a large vintage plant-bowl and the right plant to go with it: our new green pet, a carnivorous plant!